Description Make monkeys and co-operate to satisfy their caffeine cravings. 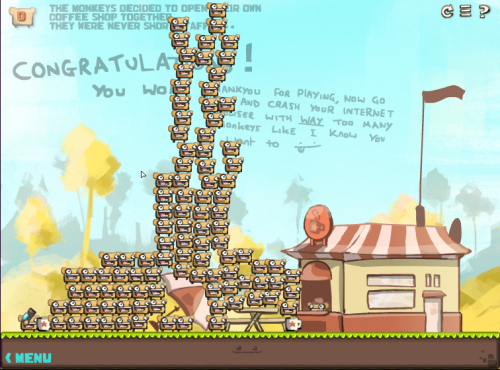 Fantastic #platform #game! Funny animation! Great idea!! !